Going to interview for a job of an HR Generalist, having no idea how to answer their questions? Experiencing stress, unsure how to make a great impression on the interviewing panel? 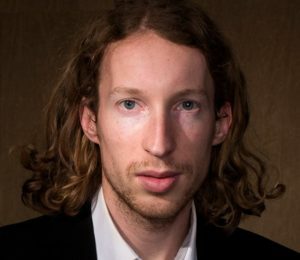 Struggling to understand what matters in this interview, and how to pass it? Don’t worry, you are not alone, and I’ve got the answers you are looking for! See a short video below (3 minutes 51 seconds), where I describe what’s in the eBook, and how it will help you to get a job. If you prefer reading text to watching video, or if you struggle to understand my voice, just scroll below the video and continue reading. What do you want to accomplish in your job as an HR Generalist? What factors do you consider before drafting any new HR policy? How would you motivate an employee to work harder (without offering them a raise)? Have you ever interviewed anyone for a job? What questions did you use in the interview? Why did you use these questions? If you were advertising a job offer, what would you emphasize on the offer? How would you feel about dismissing someone you had good relationship with? How important do you consider collecting data and creating reports on staff performance? How would you recruit the best talent? An employee submits a sexual harassment complaint. What steps would you take to look into it? Describe a situation when you struggled to communicate something to your colleague. How did you manage to get your message over? Why should we hire you, and not one of the other applicants? Read the sample below, to understand how this eBook can help you. The sample includes two questions (from 25 you will find in the book). Question: How would you motivate an employee to work harder? Hint: Individual approach is the key in this case. Tell them that you would analyze each problem of motivation, trying to understand what motivates the particular employee, and would act accordingly. I do not suggest you to speak about offering a raise as a way of motivating someone. This is an obvious solution, plus it never works in long run. What is more, you most likely won’t have an authorization to raise someone’s salary as an HR Generalist. Try to go for more creative ways, and holistic approach. See sample answers for your inspiration. – I think that we should try to build a positive and motivating atmosphere in the workplace. People should feel as a part of a team, they should feel responsible for one another, and they should also feel that we care, and try out best for them in HR, and in management. We should also have a clear system of benefits in place, so people know that once they work harder, they will be rewarded. This is the key in my opinion. When a problem of motivation arises in such a climate, I’d approach it individually, will have a one-on-one meeting with the employee, and see what we can do for them. – External motivation never works—at least not in a long run. We should try to help people to see the connection of their personal goals (hopefully they will have any) and the goals we try to achieve in the company. Once I see someone struggling with motivation, I’ll do my best to help them rediscover that connection, to help them see the meaningful purpose in their job. If it doesn’t work, however, sometimes the only thing we can do is to dismiss the employee, or relocate them. Question: How important do you consider collecting data and creating reports on staff performance? Hint: This will be one of your main duties as an HR Generalist. In terms of staff performance, data-driven judgment always beats intuition and observation. Tell the interviewers that you consider it extremely important. You can elaborate on it with your ways of collecting data, or reporting on them, or (if you have no experience with it) you can say that you look forward to learn how to do this effectively in a corporate environment. – Data driven analysis always beats guesses and emotional decisions. Therefore I consider it superbly important to have effective ways of evaluating staff performance. In my experience, it is good to set clear goals for each employee (these can range from completing a simple set of tasks every day to reaching certain tangible target, such as desired sales volume each month), and then monitor their progress regularly. I like to keep everything organized and do my reports in a way that other staff members can easily read them and understand the most important data on each report. – It is very important. Without collecting data and creating reports, it would be extremely hard to understand the actual performance of each staff member, and take action accordingly (motivation, training, punishment, relocation, dismissal, etc). However, since this in my first job application, I have no practical experience with doing that. I hope to learn how to do it effectively in this job. These are just two questions. You will find 25 in the eBook, including personal, behavioral, and technical questions. But that’s not all. To ensure you will get the job, I included in the book six principles you need to understand before you can ace this interview (you can see a sample of one of them in the video). Anyway, I do not want to waste your time with lengthy sales pages, fake reviews, and imaginary discounts, just like other people do on their websites, while selling various digital products. You have read the samples, you know what the eBook is about, and surely you can tell whether it will help you to get a job of an HR Generalist. I sincerely believe it will help you. It will help you a lot. And you can read it easily in two or three hours, it’s 11,000 words. Only things that truly matter, no secondary content. Plus, of course, like with everything else we sell here on InterviewPenguin.com, you have a risk free sixty days money back guarantee. If you don’t like this eBook for any reason, or no reason at all, just let me know (email me at matthew[at]interviewpenguin[dot]com) within 60 days and I will give you a full refund. 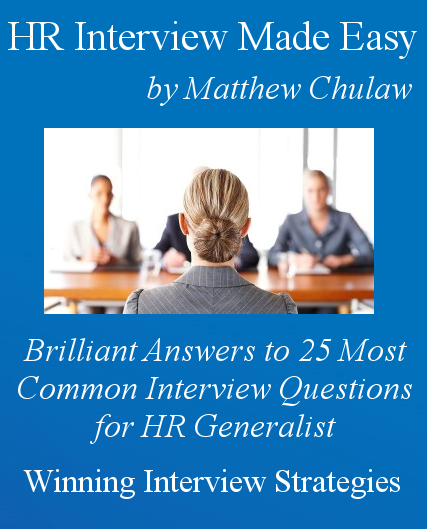 Brilliant answers to twenty five difficult questions you may get in your HR Generalist interview. Several sample answers to each question, including answers for people without previous working experience. Six principles of acing this particular interview, things you simply need to know to make the right impression on the interviewing panel. Instant download, .PDF format (you can read it on any device (mobile, kindle, PC), and you can easily print it). Secure and simple checkout with PayPal, you can pay with your credit/debit card, or with your PayPal account. Price: $17.95, one time payment, 60 days risk free money back guarantee . No hidden fees, no upsell, no crappy bonuses. Just one eBook that includes everything you need to know to get a job of an HR Generalist. Click the checkout button below to proceed to the payment. P.S. If you have any questions, just send me a message to matthew[at]interviewpenguin[dot]com. Unless leading interviews somewhere, I typically answer all emails within 6 hours. Thank you!